ResourcesTutorialsWhy learn to use structures? 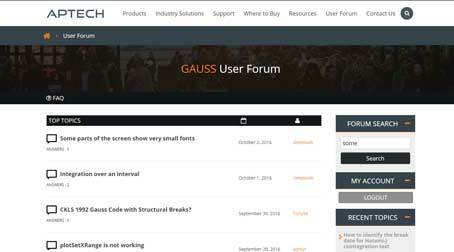 Some GAUSS users think that learning to use structures may be difficult and wonder if it is worth the effort. Using structures to hold arguments to procedures, outputs and control variables has many advantages over the use of global variables and is universally considered a best practice. Fortunately, the hurdle to learning structures is smaller than many people think. This document will explain how you will benefit from using them. A structure is just a container that can hold different variables. A simple analogy is a grocery bag. If you only purchase an orange or two, it is easy to keep track of them. However, as you add more and more items, it becomes a burden to carry them all separately. To combat this simple problem, you place the items in a grocery bag. Once the items are in the bag, you have only one thing to keep track of—the grocery bag. All of the individual items are still available anytime you would like to access them. However, when they are not needed, you have the luxury of not thinking about them. Similarly, structures provide a convenient package for holding and transporting GAUSS variables. Replacing global variable inputs with structures leads to programs that are easier to follow and less prone to certain accidental errors. When a structure is passed into a procedure, all its members are local to that procedure and thus cannot be changed outside of the procedure. Global variables, however, can be changed by any other code. This can lead to certain variables being set unexpectedly by another part of the program or the order in which different programs are run. These changes to global variables by other code can lead your program to intermittently run differently than you expect. Relying on global variables also creates a dependency for your program since the variables need to be set before running it. If others use the code you have written or you move it to a new machine, neglecting to set these global variables will produce “undefined symbol” errors. These errors are often frustrating and can be difficult to resolve. Although adding a structure will also create a dependency for your program, it is much easier for users to see if they are missing a structure definition or a function to set its default values. A global control variable may only appear once or twice in a program and when it does, it may be deep inside the program’s inner workings, making it easy to overlook. Using structures to contain variables for a procedure or large numbers of similar outputs is universally considered a best practice. Structures keep similar items together in one convenient location. Structures make code easier to understand. Structures make code easier to change.